Ryan Edwards just said “so long” to the Tennessee county jail he’s called home for the past three months! 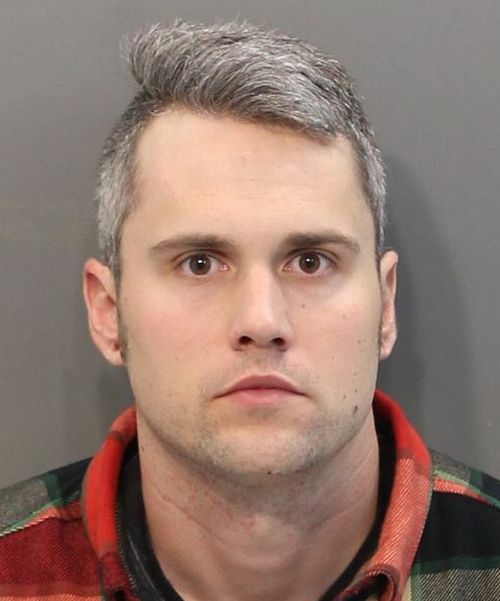 The Teen Mom OG dad was released from Hamilton County Jail on Monday, the Tennessee SAVIN system confirmed. Since his release, Ryan and his wife Mackenzie have been silent on social media. As The Ashley previously reported, Ryan was thrown in the clink back in January, after a “theft of service” charge— stemming from a December incident in which he allegedly ran out on a $36 tab at a local pub. Although Ryan’s theft of service charge has since been dropped, he remained behind bars because his “drink-and-dash” arrest caused him to violate his probation from his 2017 arrest for heroin possession. During a late-night Instagram Live session in March, Mackenzie stated that she and Ryan decided it was best for him to do time behind bars so that he wouldn’t have to be on probation any longer. Mackenzie also claimed that the “drink-and-dash” charges were just a big misunderstanding. Best New Years. Best lover. Best friend. 🖤. Last week, Ryan’s father, Larry Edwards, told Radar Online that the Edwards clan is very much looking forward to Ryan being a free man. He also stated that he did not visit Ryan while he was locked up, but he has chatted with him on the phone. “At jail it’s not like on TV. You go into a room. It’s a video. He sits in one room and the family is in another,” Larry told the site. Maybe he’s smarter than he looks or acts and he knows that once (or if) he sobers up, he has to deal with what he married. Also, between Mackenzie and Jen, the story about the unpaid bar bill has changed 27 times already. If you’re gonna lie, at least stick to it ladies! I love how Mac contradicts herself. First it was a misunderstanding (which she or Jenn paid the bar tab about a week after him being in the slammer) with the bar. Then it turned into a choice they made together to get him off probation. I wouldn’t doubt that Ryan is still on probation though. 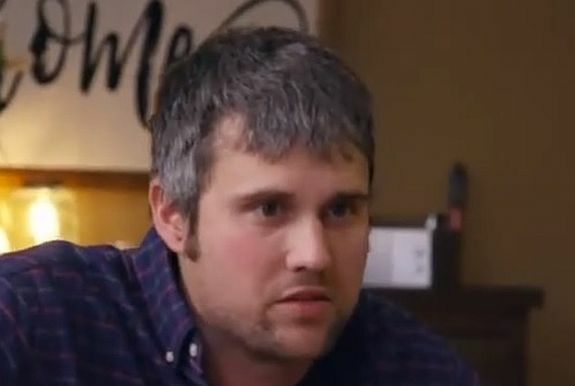 In all seriousness though, I hope Ryan used the time behind bars to better himself. Unfortunately, I don’t think that will happen for him, Ryan has no will or ambition to do anything in his life. He also has three enablers. If he is going to be on the next season of “TMOG”, he’s going to have money again. He needs to get a REAL job. It wouldn’t surprise me if he’s off probation. Usually once you’ve violated x amount of times, they revoke probation & sentence you to time served. It just shows that he’s not ready to be sober IMO. Someone who is clean & working their program would have no issues on probation. He needs to get a divorce, check himself into a halfway house, and get a damn job. None of these teen losers have jobs! They’re gonna be f&cked when their gravy train ends! Seriously. She is the worst liar. Always contradicting herself and twisting her words. It’s all so transparent. Only a complete moron would believe her nonsense. I hope this was a wake up call for Ryan and I hope he stays clean but I have serious doubts considering he’s married to someone like Mack. Having that big of enabler in his life will make it very difficult for him to stay on the right path. Hopefully I’m wrong but I have serious doubts. I’ll hope and pray for him and his family that everything turns around. I have been really worried about Ryan dying in these last few years mainly because of Mack. His parents weren’t a big help, but I think Larry was kind of coming around to “tough love” and sending him to rehab, I think Jen needs her own counseling, but Mack seems diabolical. She isn’t *just* an enabler, she’s an fame whore. I have serious doubts she wants Ryan sober, when he messes up – people start paying attention to them/her again. Also when he’s using, Maci will cut him off from Bentley, and I don’t think his parents like to see him like that, further isolating him… Plus if he got sober, for real for a good while, she knows he’d leave her. No one, especially a recovering addict, is going to want to stay with someone who insisted on marrying someone so loaded they could barely stand. Pregnancy announcement coming in 3…2….1. Hopefully this was the wake up call he needed…but only time will tell. I sincerely hope they relocate to get Ryan away from his triggers, he needs a fresh start. Try a new town close by perhaps? Get a job. Keep busy. Stay away from liquor and bars. Learn how to live your life clean and sober. He also needs to divorce that enabling wife of his. “You never get out of the system”…. Um don’t violate your probation and you’ll be just fine. And she paid the $36 THAT DAY on her credit card? So what happened then? Ryan came home 4 whiskeys deep and told her he forgot to pay and she ran right back up there and paid? This girl and her fake show she puts on. Jeez. She’s a moron, but in that instance she isn’t entirely wrong. You have to make meetings with your PO, as well as pay fines and that kind of stuff. There’s a lot of rules and regulations on probation, and it’s not just “don’t break the law”. My brother in law served time when he got sober instead of going on probation, because he’d lost his license and he knew it would be a struggle to make all the appointments. There’s definitely some truth to her saying it’s hard to get out of the system once you’re in it. Look at the repeat offenders for proof of that. There’s a ton of people sitting in jail for not being able to be a fine, and then it doubles, and triples, until they’re forced to serve time for a non violent crime just to get out from under it. She’s actually right. They do everything possible to keep you paying into the system, and you can be violated for stuff you didn’t even know was in your record. Lots of people do jail time to get it over with. T minus 3 minutes before Mack declares he’s magically cured of any and all additions, he’s the best father to their son McJagger, Bentley was waiting outside the jail with all his belongings packed ready to move in with them and he fainted when he first laid eyes on her because he was so stunned by how beautiful she is. I will take the $50 bet, in the pool of, it won’t last 6 months. Yeah……..I don’t think it will last either. Not with such enablers by his side. Id be in for $10, not 50 bucks. He needs to follow what they tried to teach him at the last two rehabs. Unfortunately I think his wife his one of his triggers.